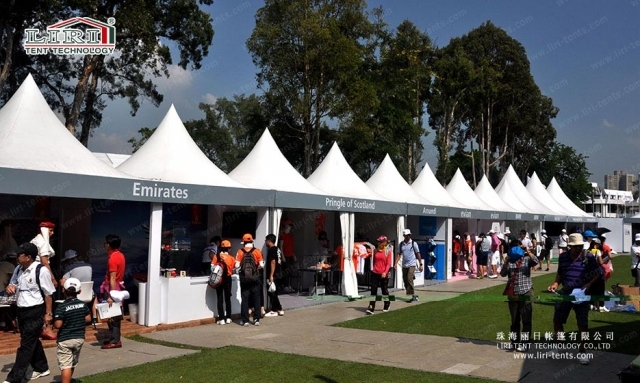 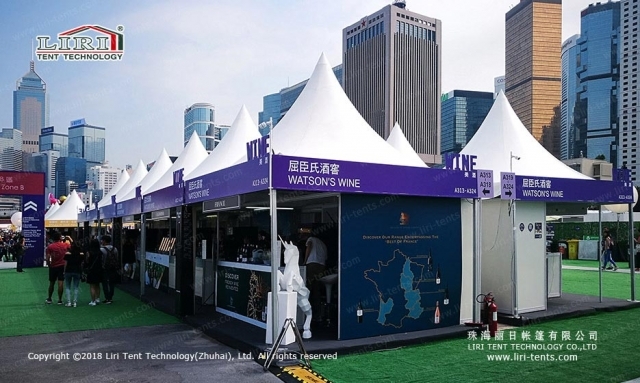 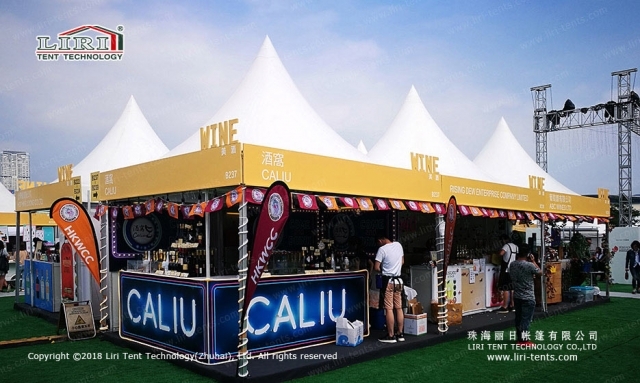 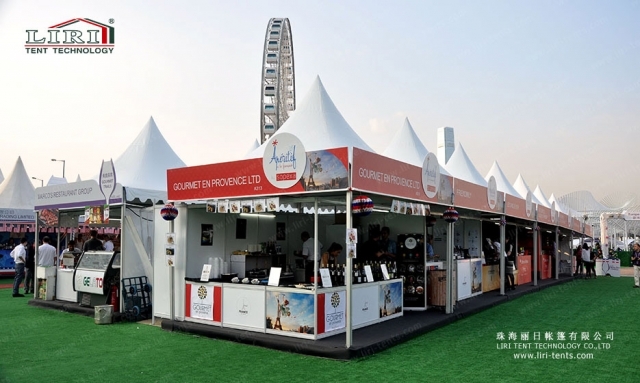 With its classic high-peaked appearance and first-class materials, gazebo tents from Liri are very popular worldwide. 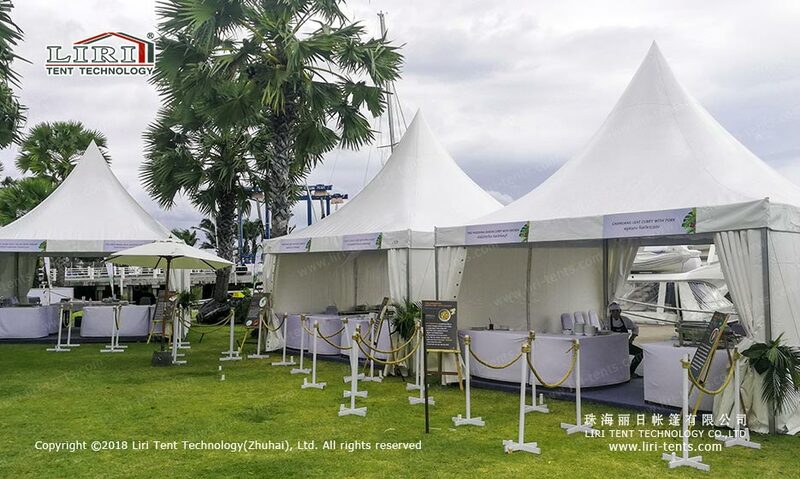 As these high peak tents can resist to strong wind and sunlight, they are an ideal solution for wedding, festival, catering, car parking, or other outdoor events. 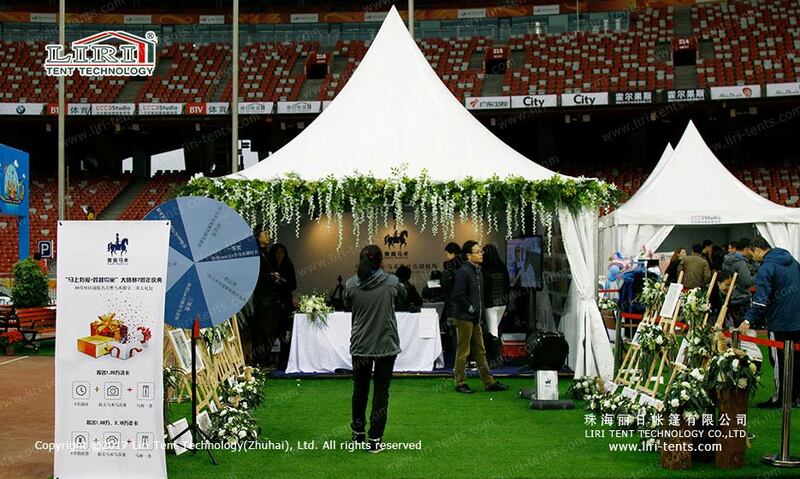 Liri Tent offers gazebos from 3×3 gazebo, to 6×6 gazebo, to 20 x 20 gazebo, and custom made gazebo. No matter what tent size and theme party you want, you can always find superb quality, professional service, and affordable price here. 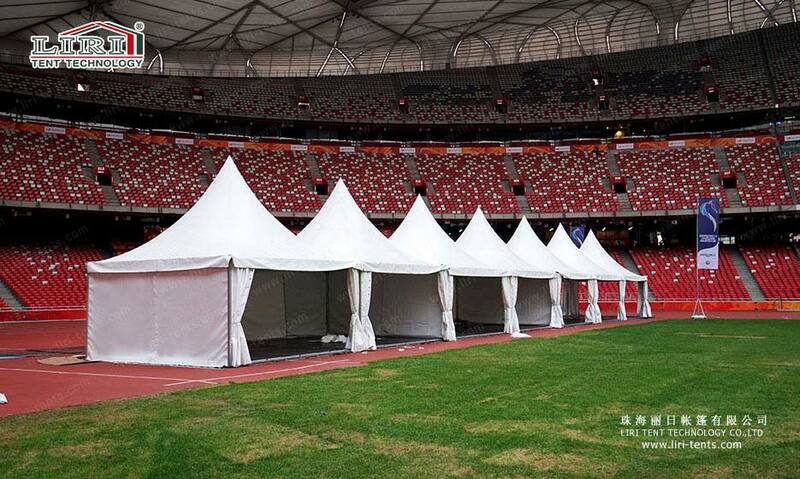 Gazebo Tents can be used as a single unit or combined by rain gutters to build a larger space or a special structure. 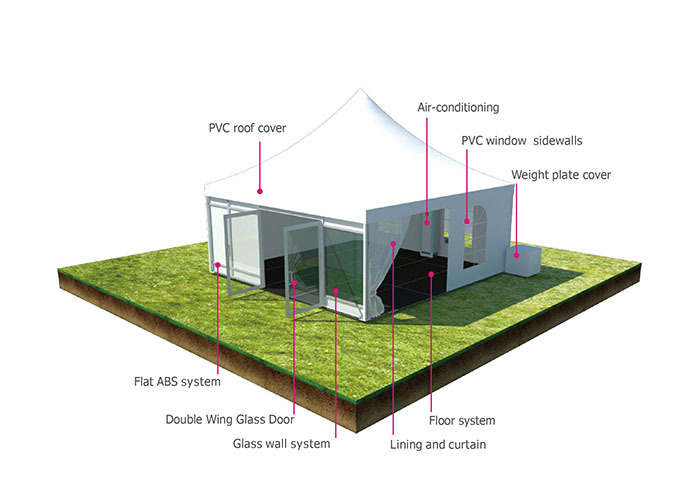 Hard pressed extruded aluminium frame and double PVC-coated fabric cover. 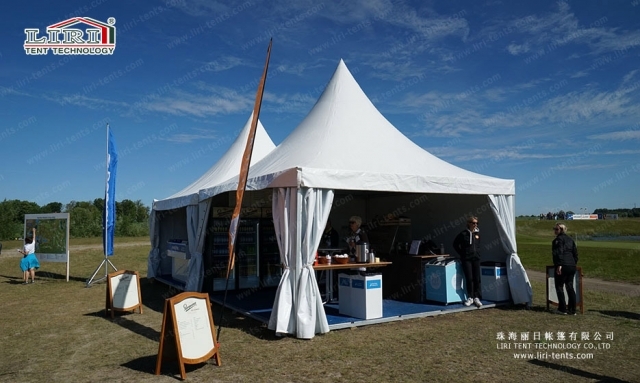 No pole inside making 100% available interior space. 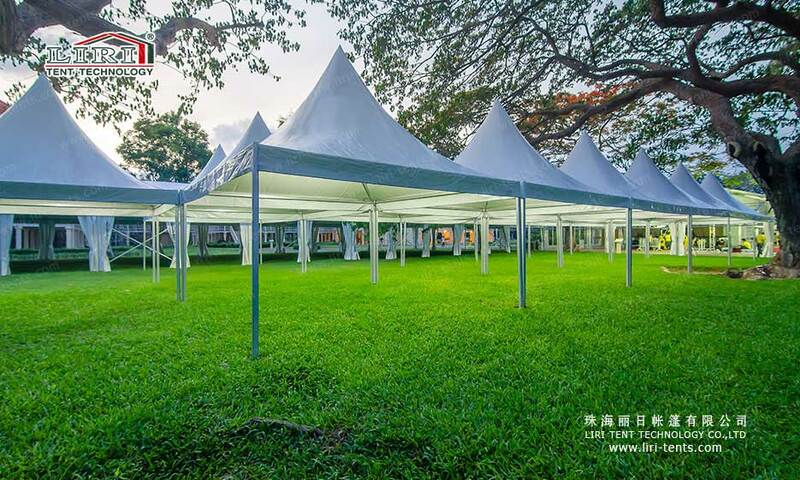 Available sizes: 3×3m, 4×4m, 5×5m, 6×6m, 8×8m, 10×10m, and 12×12m. Optional tent accessories: colorful covers, clear pvc windows, doors, walls, rain gutters, lighting, event furniture, air-conditioning, and carpeting. If you are interested in these gazebo canopy tents and more party tents, just SEND your detailed product inquiry below. We will get back to you as soon as possible.